Andrew Wiggins and the Minnesota Timberwolves are currently engaging in contract talks that would keep Wiggins in Minnesota for the long haul. During Jamal Crawford’s introductory press conference yesterday, head coach Tom Thibodeau said the two sides are working on a deal. ESPN has reported the deal will be for five seasons and could be worth up to $148 million dollars. According to ESPN sources, the deal would start until the 2018-2019 season when Wiggins would be eligible for restricted free agency. A base salary of $25.5 million per season would be given in year one. Wiggins has been the main piece for the Timberwolves when they began their rebuild. Wiggins was selected with the first overall pick in the 2014 draft after the Timbewolves acquired the first overall selection in a deal with the Cleveland Cavaliers which netted the Cavs Kevin Love. 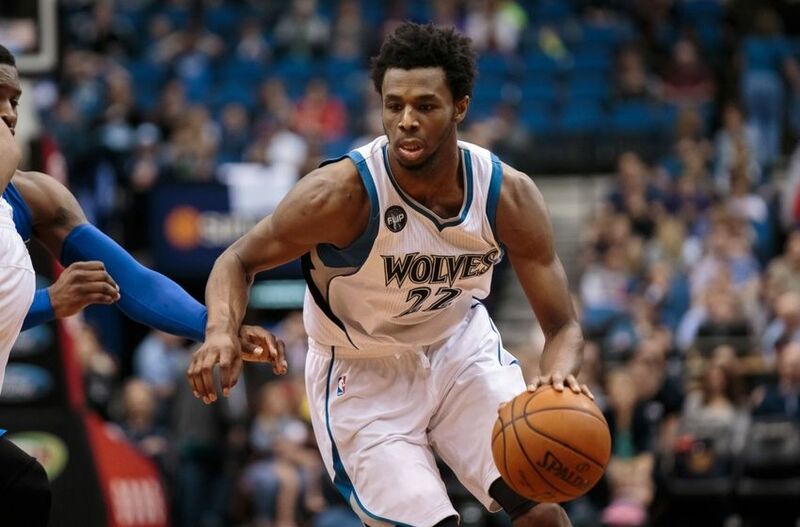 Wiggins has appeared in all 82 games in each of his three seasons. Last year he averaged a career high in points (23.6), assists (2.3) and three point percentage (35.6%). Wiggins will be paired with Jimmy Butler on the wing this season creating a dynamic 2-3 combination on the perimeter. Each has the capability of shutting the opponent down defensively and scoring offensively. The Timberwolves will be a much improved team and resigning Wiggins long term shows the teams commitment to success now and into the future. If you wish to read more about the Minnesota Timberwolves preview for next season check it out here: Early preview of the 2017-2018 Timberwolves season.